New year has begun – WWF HoB would like to wish all the readers for the successful and prosperous year. May this year bring more good things! The edition, HoB newsletter features various fascinating stories from the field. Two stories of national parks come from West and Central Kalimantan. Betung Kerihun Danau Sentarum National Parks’ in West Kalimantan appointment as 14th Biosphere Reserve by the UNESCO has positive effect on society and biodiversity. 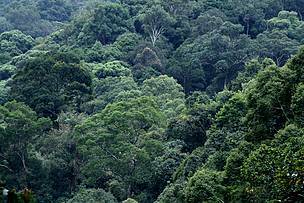 While, we need to shift up a gear to support Sebangau National Park and Bukit Baka Bukit Raya National Park. Data shows around 70% of orangutan population are living outside protected areas in Kalimantan where land conversion, concession, forest management units and community land co-exit together. Other interesting surveys and studies concluded that youth are constituency most invested in environmental issues and most concerned about biodiversity loss. This is of the challenge that lies ahead. Conservation landscapes in West Kalimantan.